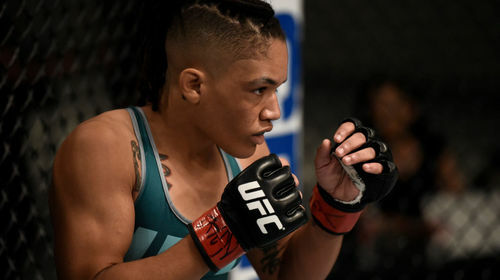 TUF 26 Ep. 1 A New World Champion Sep 26, 2017 (42:19) Sixteen of the best female 125-pounders in the world come to Las Vegas to compete for the inaugural UFC flyweight belt. 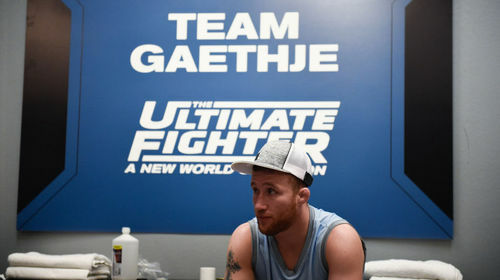 Coaches Eddie Alvarez and Justin Gaethje pick their teams, with the fighters being seeded in a tournament format. 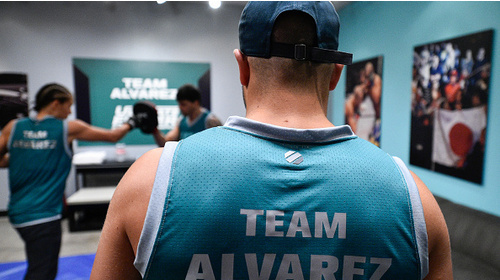 After both teams begin training, the first preliminary fight kicks off the competition. TUF 26 Ep. 2 Fight! Oct 5, 2017 (41:33) Justin Gaethje struggles to communicate with an international fighter. An injury during a training session puts a competitor’s future in doubt. Then an experienced flyweight takes on a dark horse in the second preliminary fight. TUF 26 Ep. 3 Time to Shine Oct 12, 2017 (41:04) The teams step away from the TUF gym to train at the new UFC Performance Institute. One of the fighters has an emotional breakdown during practice. Then it’s the third preliminary fight with a spot in the quarterfinals on the line. TUF 26 Ep. 4 The Truth in Me Oct 20, 2017 (41:09) Two top-seeded teammates discuss the possibility of having to face each other later in the tournament. A fighter shares the story of her lifelong battle with addiction. Then a heavily favored veteran takes on an underdog in the fourth preliminary fight. 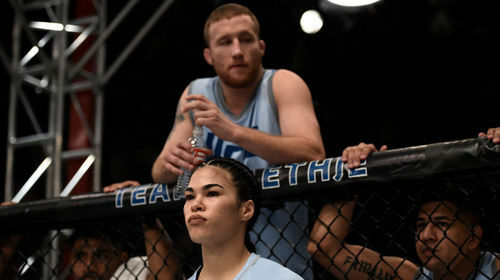 TUF 26 Ep. 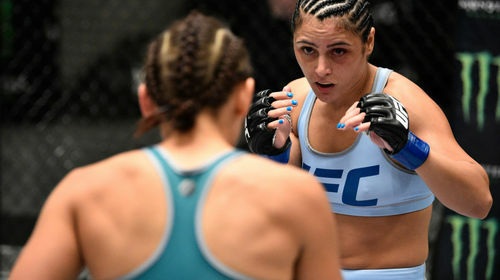 5 Feelings Mean Nothing Oct 27, 2017 (42:35) After losing in the Octagon one of the fighters skips training, causing a rift between her and her coach. Then, two flyweights face off in the fifth preliminary fight. TUF 26 Ep. 6 Predator Nov 8, 2017 (44:09) Eddie Alvarez pulls out all the stops to give his team a competitive advantage. 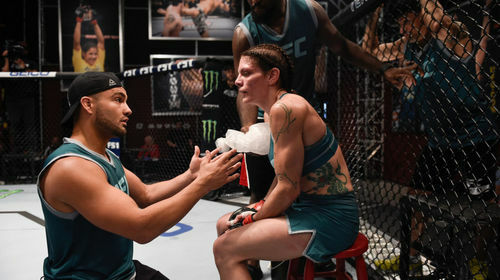 A fighter struggles with an old injury. Then one of the most accomplished fighters in the tournament takes on a young rising star in the sixth preliminary fight. TUF 26 Ep. 7 Enjoy the Moment Nov 16, 2017 (41:01) Dana pays a surprise visit to the house to hang out with the teams. 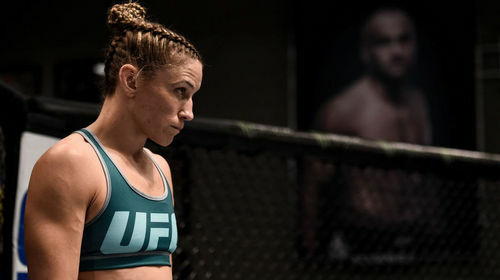 One of the fighters puts together a personalized training regimen that throws off her coaching staff’s plans. Then, two flyweights face off in the seventh preliminary fight of the competition. TUF 26 Ep. 8 Sink or Swim Dec 4, 2017 (42:25) Lauren Murphy’s strained relationship with Coach Alvarez reaches a tipping point. Eddie and Justin go head to head in the coaches challenge. Then, two flyweights face off in the eighth preliminary fight with the last quarterfinal spot on the line. TUF 26 Ep. 9 The Fight Gods Dec 15, 2017 (41:37) Before the quarterfinals kick off, both teams enjoy a night out on Lake Las Vegas. 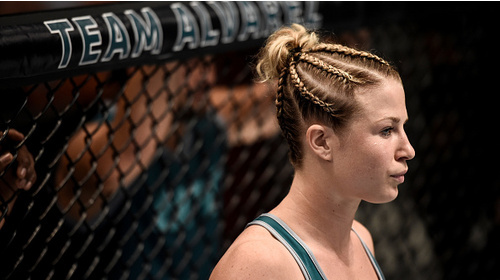 One fighter struggles with a difficult weight cut, putting her future in the competition in doubt. Then it’s the first two quarterfinal fights. TUF 26 Ep. 10 Make it a Fight Dec 17, 2017 (41:51) Four female flyweights compete in the last two quarterfinals in an action-packed episode. The winners advance to the semifinals and face off against their next opponents. TUF 26 Ep. 11 A Will to Win Dec 29, 2017 (40:57) As training continues in preparation for the semifinals, the coaches engage in a prank war. 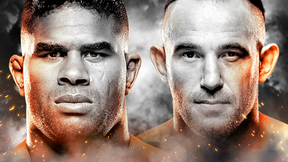 Then two flyweights take to the Octagon to face off in the first semifinal fight. TUF 26 Ep. 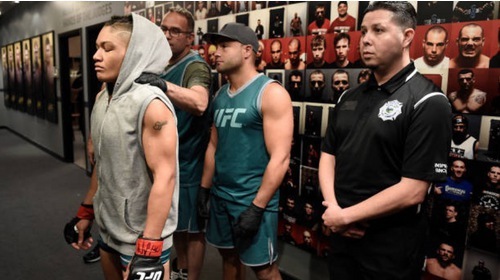 12 The Ultimate Goal Jan 4, 2018 (40:13) In the last episode of the season before the live finale, a fighter turns to the UFC Performance Institute for help with her weight cut. Then, the second semifinal determines which flyweight moves on to the championship fight.